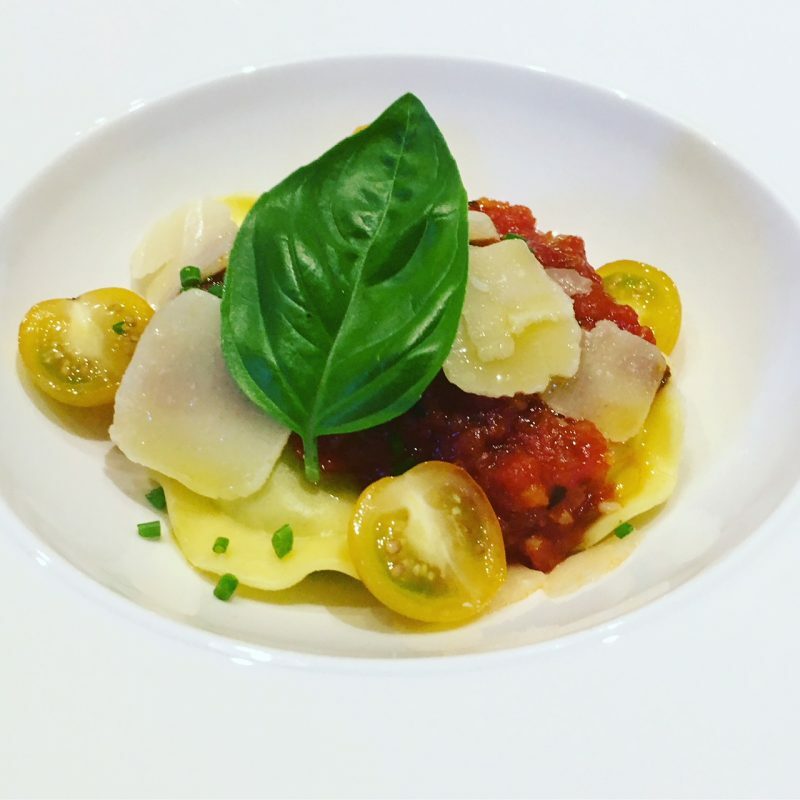 This is a wonderfully versatile sauce which we make to serve with our tortellini or ravioli dishes. With just a few main ingredients, it’s a great sauce to make in a large batch and freeze in. Gently heat a large pan with the olive oil and sweat down the onions & garlic, without colouring, for 10 mins. Add the chopped tomatoes and stir thoroughly, add the seasoning (& sugar) and bring to a gentle simmer and let bubble away for 30 mins. Add the basil and cook for a further 15 mins – the sauce will thicken up nicely. adjust seasoning to taste. You can serve the sauce on pasta, use as a pizza topping, in lasagna, on top of chicken breasts for Parmigiana. 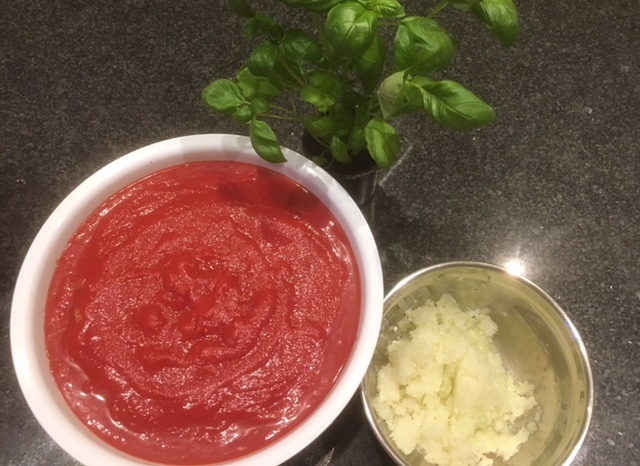 You could also add 1/2 litre of chicken or vegetable stock at the same point you add the basil and then blend at the end to make a lovely tomato soup.